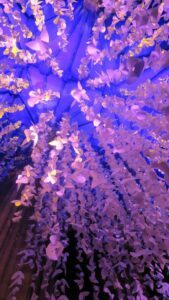 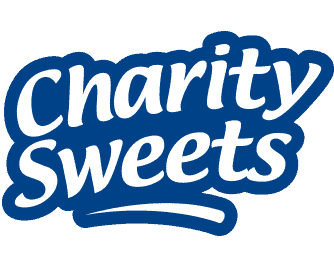 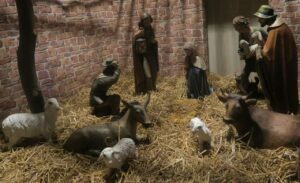 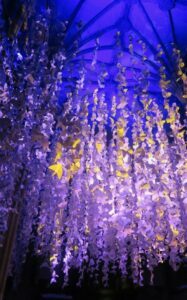 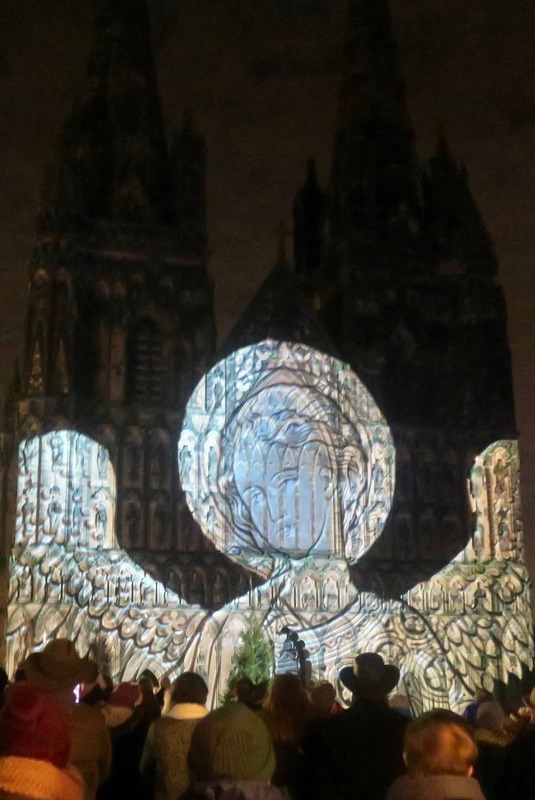 LICHFIELD ” A CATHEDRAL ILLUMINATED” – SUNDAY 18TH DECEMBER 2016 – Charity Sweets by Sweet causes Ltd.
A special preview viewing had been arranged for invited guests and members on Sunday evening 18th December 2016. 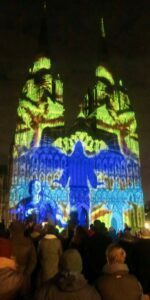 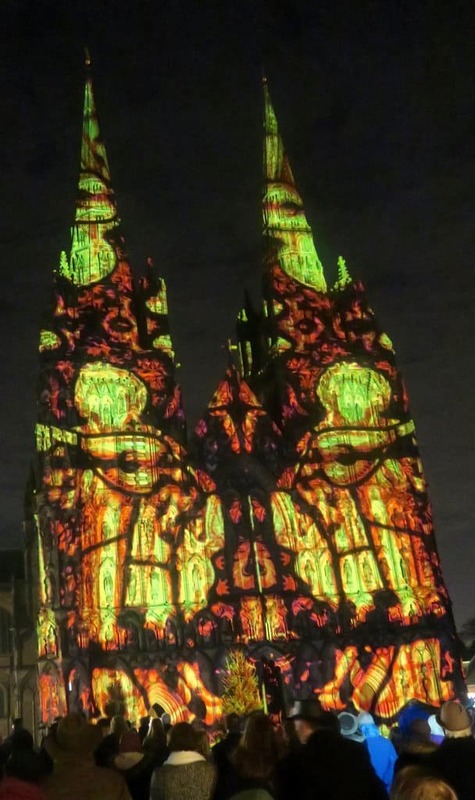 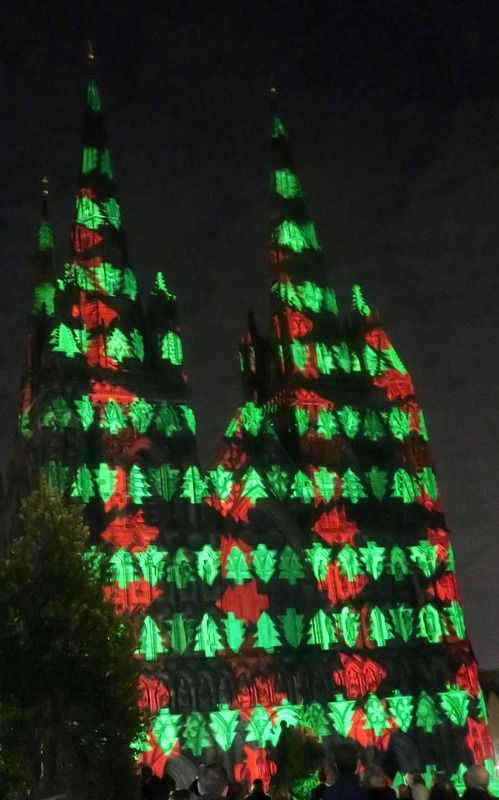 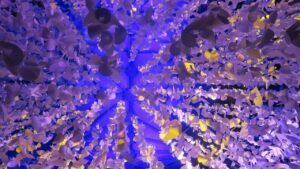 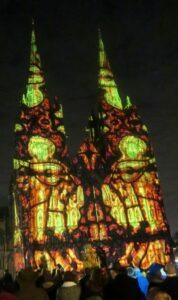 A stunning outdoor festive laser light show, lit up projecting the spirit of Christmas, all over Lichfield Cathedral with some amazing special effects and sounds. 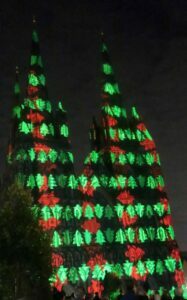 Illuminated candy canes, Christmas trees, angels, snowflakes, trumpets, all sprayed the entire magnificent south transept of this stunning building showing off its striking fine architecture of years gone by. 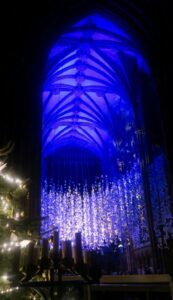 After the laser event guests were invited to take a stroll into the cathedral to view the festival Christmas trees that had been donated by schools, charities and local businesses which paved the two sides of the Cathedral, starting to the left hand side of the building as you enter the doors, then heading towards the nativity. 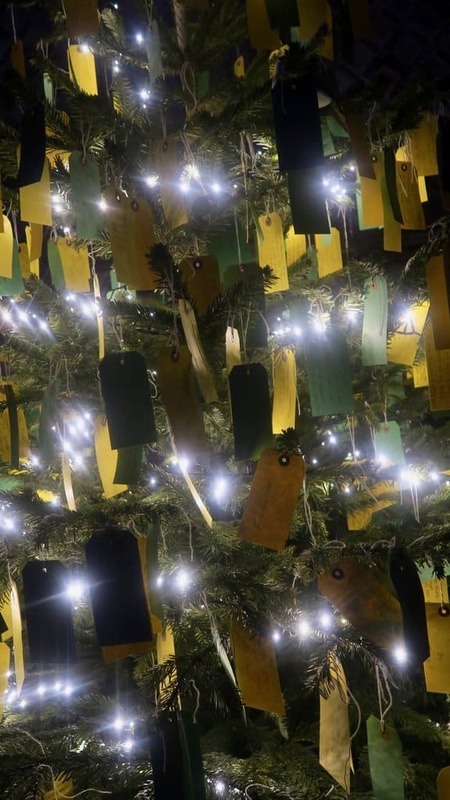 All trees have now been decorated, with the theme being ‘Peace’ this year, are open to the public to view where tokens can be purchased for £1. 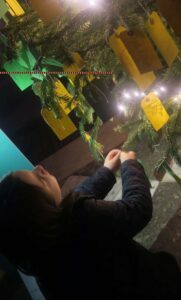 Once you have decided which tree or trees you like the best, just pop your token into the box that sits alongside that tree, you can even vote for more than one tree. 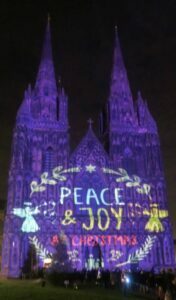 It will be very difficult to decide as some of the designs are just lovely with amazing detail, some humorous or some just sending a very simple message across. 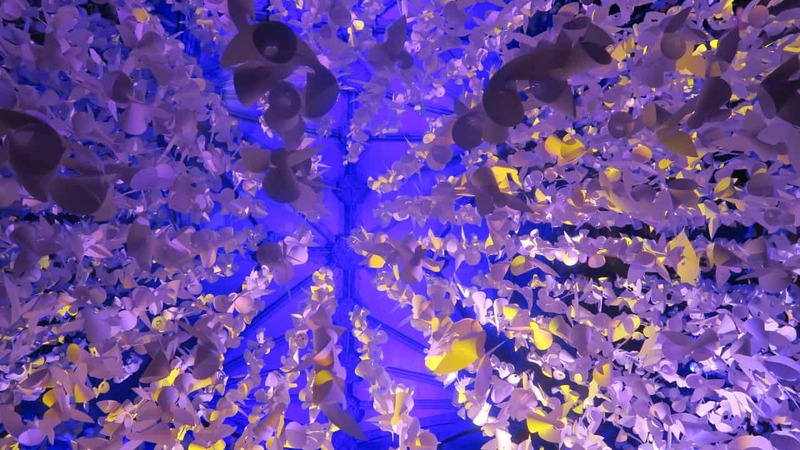 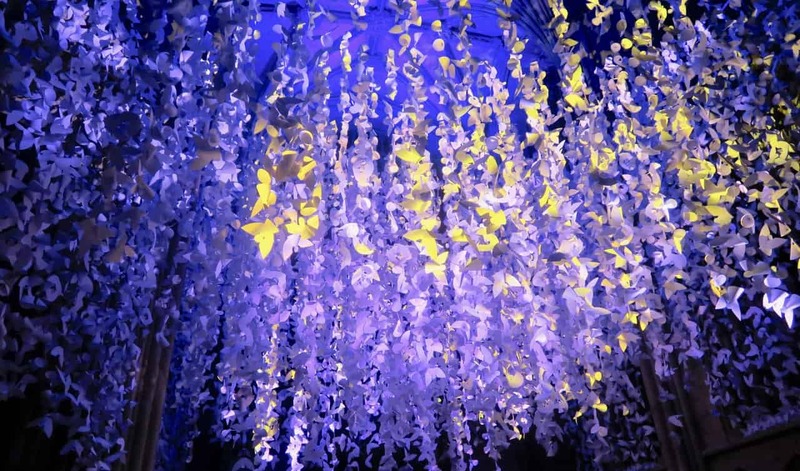 As you continue round to the right hand side of the building you are able to view all the other remaining festival Christmas trees until you have to stop and look up to the most amazing sight of 10,000 white paper angels, yes! 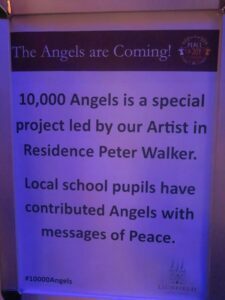 TEN THOUSAND ANGELS! 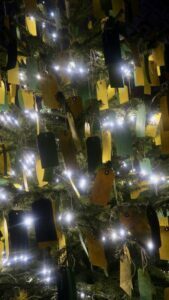 All have been made by local school children with some having their own special messages of peace written inside them. 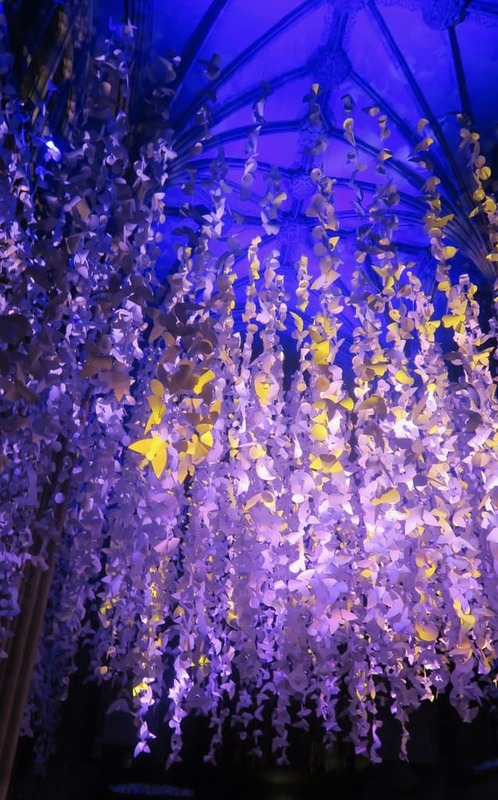 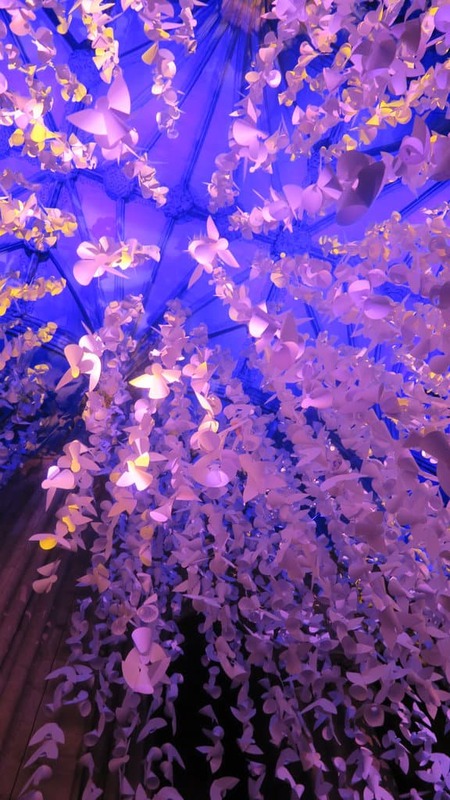 All hanging from this splendid ceiling, just gently swaying in the air, absolutely beautiful. 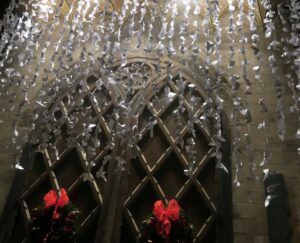 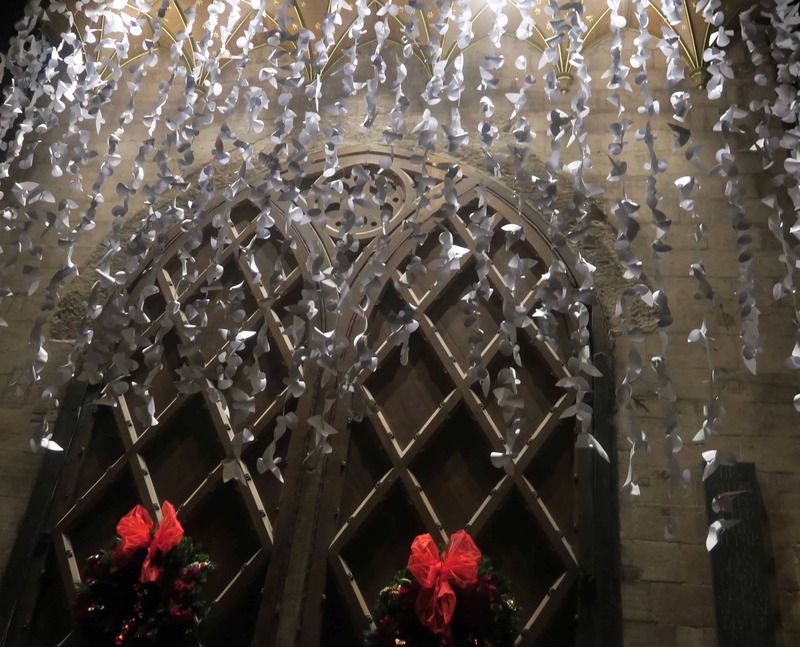 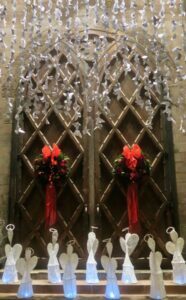 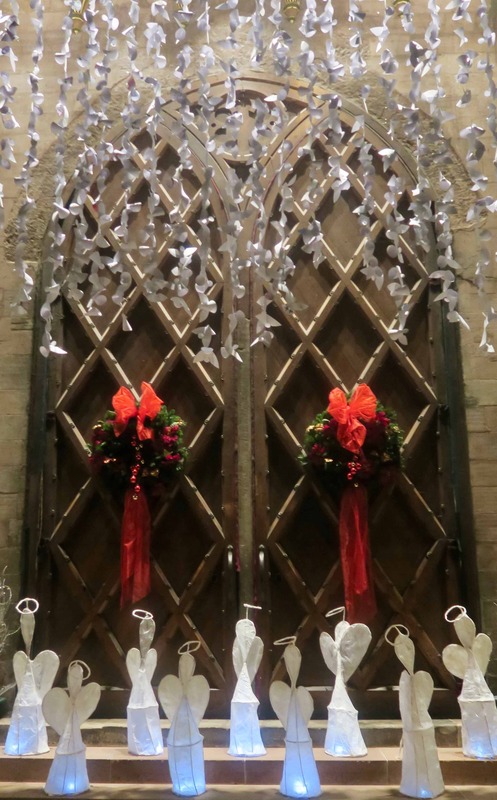 As you continue to walk round to the back of the alter a larger Christmas tree stands where you can purchase a label, write a special prayer or message to someone that are in your thoughts this Christmas, then carefully tie it to one of the branches. 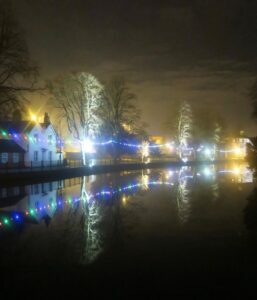 This is how beautiful Lichfield was that frosty night as we headed back home walking alongside the calm river bank, very Christmassy.